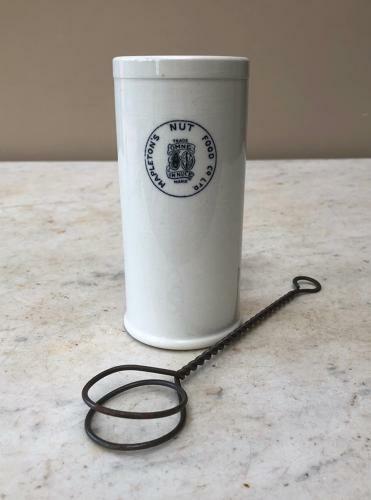 Rare & Excellent Condition Edwardian White Ironstone Whisk for the Mapletons Nut Food Company. This was for mixing Savormix a product of theirs. Wonderfully white & clean with very faint hairline to one side at the top.